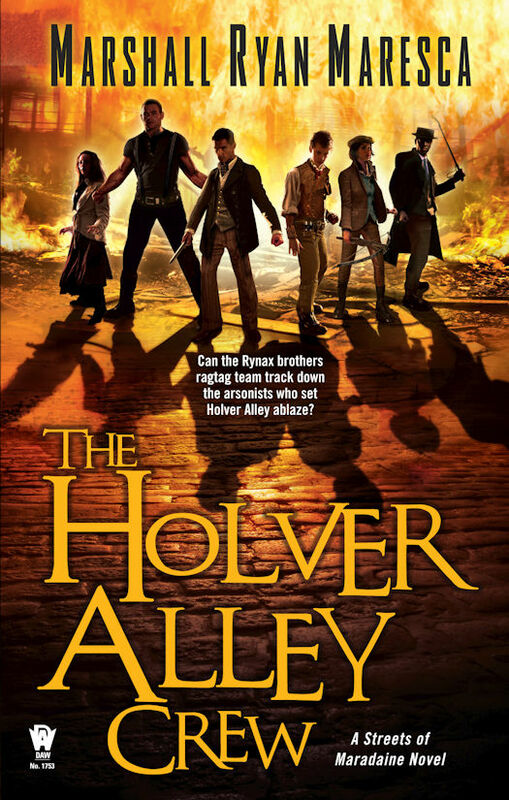 With THE HOLVER ALLEY CREW just a few weeks away, it's high time to whet your appetite with an excerpt. Asti Rynax couldn’t sleep. The bedroll wasn’t the problem. He’d slept plenty of nights in jail cells, road ditches, even trapped inside a wooden crate. The problem was sleeping on a hot wooden floor in the single-room flop, his younger brother, brother’s wife, and crying baby just ten feet away behind a thin cloth. He craved his own flop, his own space, without families, babies, or smoke. Asti sat up, smelling the air. Definitely smoke. And not from the oil lamps. “It’s just the Greenfields’ kitchen,” Raych mumbled from the bed. Asti touched the door. It was warm. Cautiously he cracked it open. 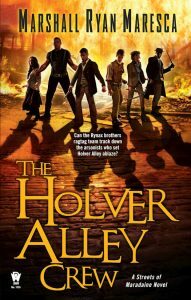 The hallway glowed with crackling flames. He dashed back over to the kitchen and grabbed the bedroll and blanket. “Get up. Get the baby.” Each word was like an arrow. Verci grabbed his pants off the back of a chair and pulled them on. Asti held the blanket over his face. In the hallway the flames were licking up the walls and ceiling, wooden support beams already cracking. Asti swung the bedroll at the fire, beating it down. Useless. The smoke was getting thicker, the fire hotter, despite his efforts. “Can you get to the stairs?” Verci called.